Adventure awaits -- especially for those staying in the New York area this summer. Whether it's enjoying nature -- there’s all sorts of foliage hidden behind all of that concrete -- or experiencing the unexpected, there are plenty of ways to enjoy the warmer months in the city (as long as you avoid the wonderful aromas of trash day). But the true key to surviving summer in the city is staying refreshed. 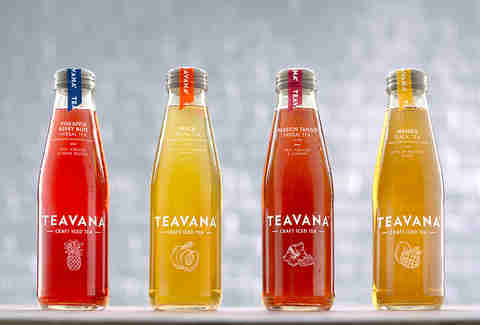 Teavana has all summertime escapades covered with four new grab-and-go bottled iced teas that pair perfectly with four distinct New York adventures. 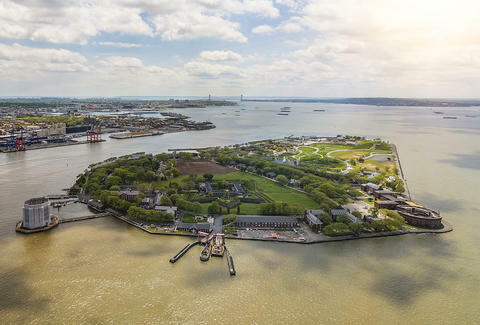 Governors Island is a rural retreat surrounded by city skyline. A short ferry ride from both Manhattan and Brooklyn, it’s an accessible bit of nature in the concrete jungle. Governors Island offers active pursuits like biking, plus a long, rich history that invites the odd Civil War reenactment group, but its main appeal for the truly vacationing visitor is hammocks. The hammocks at Picnic Point face beautiful city views. Mini-hammocks are perfect accommodations to the smallest visitors, too. Enjoy a Mango Black Tea and a book -- or nap -- in the hammock of your choice. 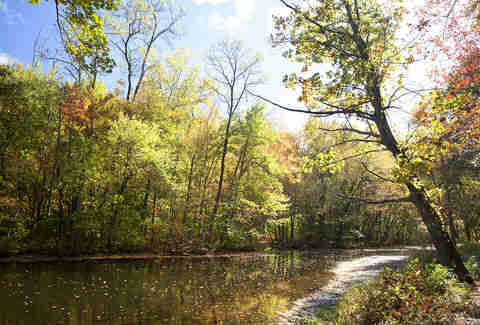 Just 30 miles outside of Manhattan, Rockefeller State Preserve is more than 1,400 acres of woods full of gorgeous trails for beginner hikers. John D. Rockefeller famously added a network of carriage roads to the park that crisscrosses woodlands, wetlands, and stone bridges, making for easy, all-ages walking through idyllic scenery. One hundred-eighty species attract bird watchers but the Gallery, a showcase for local talent, draws art lovers. A day of summer hikes will keep you thirsty, but change it up a little and skip the water to refresh with a bottle of Pineapple Berry Blue Herbal Tea instead. Amusement park magnate George Tilyou famously said, "If Paris is France, Coney Island, between June and September, is the World.” There is almost nothing that can’t be seen on Coney Island during the summer. Developed as a retreat from hot, dusty Manhattan in the 19th century, Coney Island is still a can’t-miss summer destination for New Yorkers. 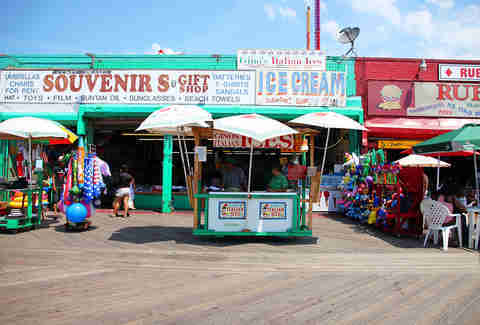 As you wander the boardwalk taking in all of the musicians, sideshow performers, and campy events like Pet Day at Deno’s Wonder Wheel, sip on a Peach Green Tea and recycle the bottle in one of the endless bins at your disposal. Then park a chair early to watch the weekly Friday night fireworks before wandering the kitschy bars and concession stands just outside the amusement parks. The beach itself is one of the last remaining notorious gritty bits of New York. How about some salsa with that tango? Sunset Salsa has been introducing new dancers to the salsa scene for over 10 years. Starting July 11, the beginner-friendly party starts at 6:30 on Tuesdays at Hudson River Park’s Pier 45. Instructor Talia Castro-Pozo carefully guides newbies through the basic steps for the first hour before the city's most popular salsa DJs spin the classics for salseros. Passion Tango Herbal Tea has just enough sweetness necessary to cool off a sweaty dancer who refuses to sit down.